Kett Cosmetics Nominated for the Pro Awards and More…. It’s that time of year again, when the artist community gathers together at The Makeup Show NYC to inspire each other and learn about the latest must-have products for your kit! Fun fact – Kett is a New York brand, born and raised! So come visit our booth, meet the hometown family and join us for an Interactive Body Painting experience on Manhattan Mannequins. Get your groove on and collaborate with Kett while we’re kickin’ it old school style on designs inspired by Street Art Punk, Psychedelia and Mondrian. All hands on deck because the more artists the merrier- and more incredible- the artistic vision becomes! The Makeup Show Pro Awards recognizes innovation and excellence in the Pro Makeup Artist community. Industry professionals and makeup enthusiasts are given the opportunity to vote for their favorite products as well as honor their peers in the industry. If you agree that your Kett products are truly must-haves”, show us some love with your vote! Winners will be announced at The Makeup Show Pro Awards Ceremony on Sunday May 7th. When: Now – July 2017 Where: 35 cities across the U.S. The Trending Tour is still going strong and once again, Kett Cosmetics is proud to supportand applaud Debra Dietrich of Muse Beauty and the Paul Mitchell Schools on this fabulous FUNraising Campaign! Debra leads one-day makeup workshops that cover everything from the basics to beyond, including how to create texture for dramatic impact. These classes also help create dramatic impact for several charity partners of the FUNraising campaign, as all proceeds from the workshops are donated. Enhancing your artistic skills while helping others is what we call a win-win for everyone! 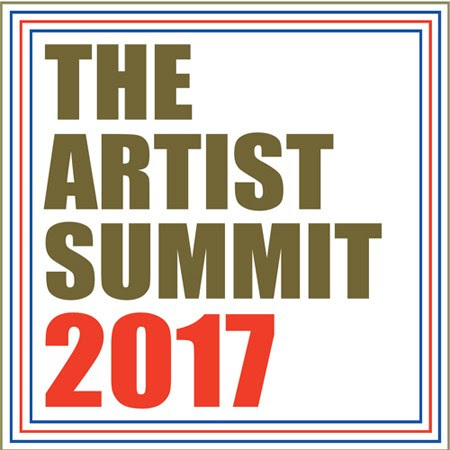 Kett Cosmetics is a proud sponsor of The Artist Summit 2017. Sheila McKenna will join hosts Michael DeVellis and James Vincent along with more than a dozen industry leaders for this special event taking place in one of our favorite places- beautiful Provincetown, Massachusetts. The Artist Summit 2017 is latest Pro-Makeup Artist event from The Powder Group, the creators of On Makeup Magazine, The Makeup Show, Evolution and The American Beauty Tour. The Artist Summit is three day artist program for those in the professional makeup and beauty industries. Two hundred of the most driven, focused and committed professionals in the business of beauty will come together for three days of insightful and inspiring discussion about artistry, career and industry. 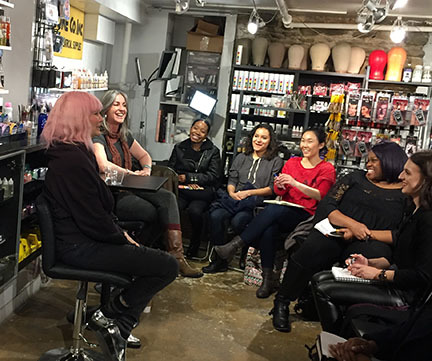 Sending out a big “thank you” to Alcone NYC, Theo Kogan of Armour Beauty and all of those who attended the “Launching A Makeup Line” workshop in March. It was a wonderful night of sharing and learning together- which is everything we love about our artist community!